“Fire Dance” 50 x 50cm. 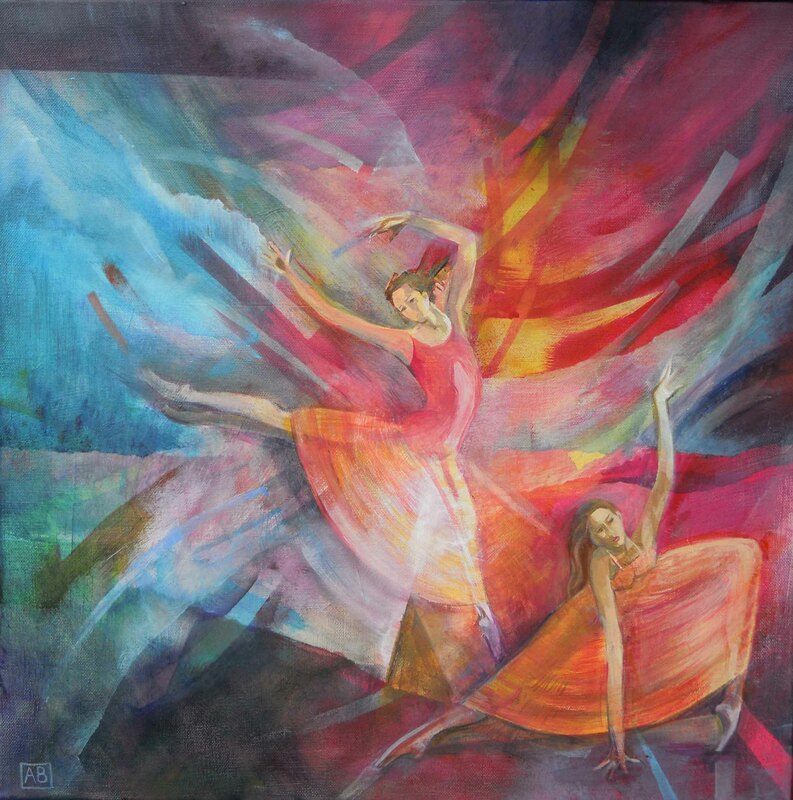 How lovely to have some fun and create a painting that with such joyful freedom. I layered until I felt I must stop. This is a new departure for me to be more abstract but it will certainly not be my last as I enjoyed it so much. The only thing I have discovered is that I get very messy and would love a bigger space to work in! I am now working on another semi-abstract about a leap of faith. Ideas are forming in my head where the narrative is still present but perhaps the viewer needs to look a little harder.